Something Personal: Seriously – that quote made me laugh out loud. I watch the sprouting relationship between Kylie and Jake and I’m not sure how Jake feels about Kylie at this point. I know that she adores him. She MUST be the one to open his door in the morning and after a nap. She MUST have his high chair RIGHT next to her chair while eating. She MUST touch him, hug him and cuddle him anytime he’s crying. And the other day, she stroked his hair and said “my sweet boy” as we waited for his “after-nap-nasty-mood” to perk up. Meanwhile, he lets out an angry screech almost anytime she comes near him these days (while looking over at me to see if Kylie will get in trouble for touching him). I admit, the sibling relationship has always been a mystery to me (since I don’t have any). I could never understand why my friends (in grade school, etc) always despised their siblings for no particular reason – at least not one that they could put into words when I asked. 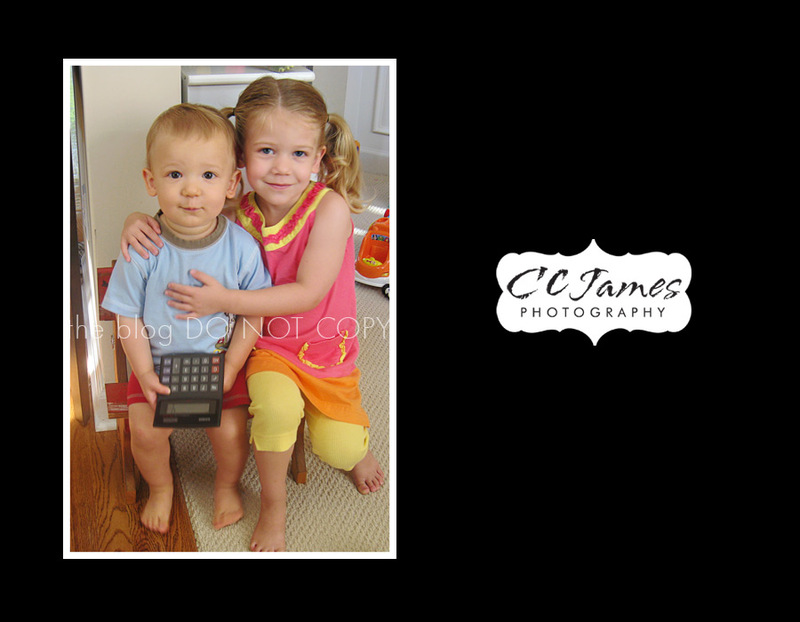 The rivalry between siblings is a powerful thing – but so is the love. My husband has an amazing relationship with his siblings – and I hope Kylie and Jake will have that too someday. And, here is a picture of them. My first inclination is to apologize for the poor quality, lack of focus, distracting background, etc, etc. But then, I’m just like anyone else, grabbing my point and shoot camera as quickly as possible to capture an unexpected (and fleeting) moment of sweetness between my two kids. So, no apologies here, just a smile on my face as I look at this picture of my kids and see so much more than a snapshot. Something I love: Anyone who knows me will recognized these flip-flops from ElizaB. I wear them everyday. I love them. L.O.V.E . LOVE THEM! This is my most recent pair that I designed myself on the website. I picked my fabric, toe ribbon, peanut and heel (Almond Rubber 1 1/2 inch heel). 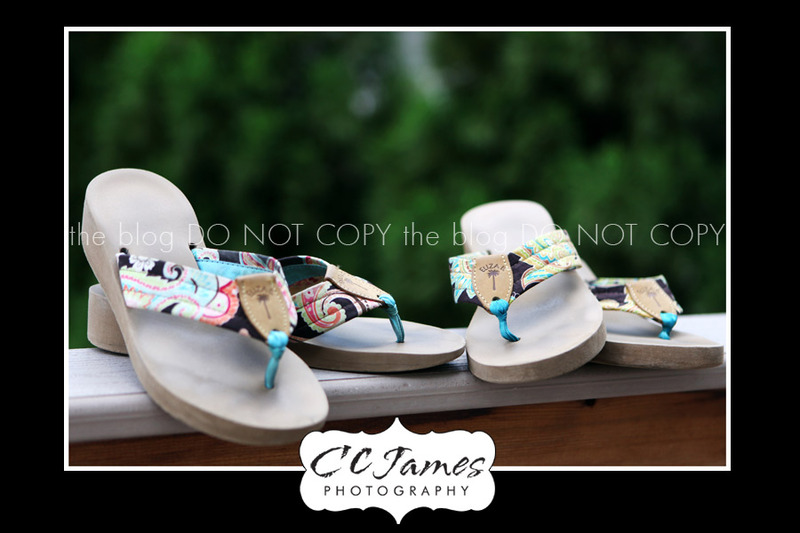 You can customize your own pair of Eliza B Sandals too! They are really comfortable and they hold up better than any other sandals I have. A cute shopping find: The Stay Put Mat & Plate Feeding Set from the Land of Nod – $20. Of course, it appears that other people think it’s pretty cool too because it’s out of stock until Mid August! Jake is a very messy eater and I’m convinced this might help him at least keep the bowl on his tray! I plan to place my order soon! 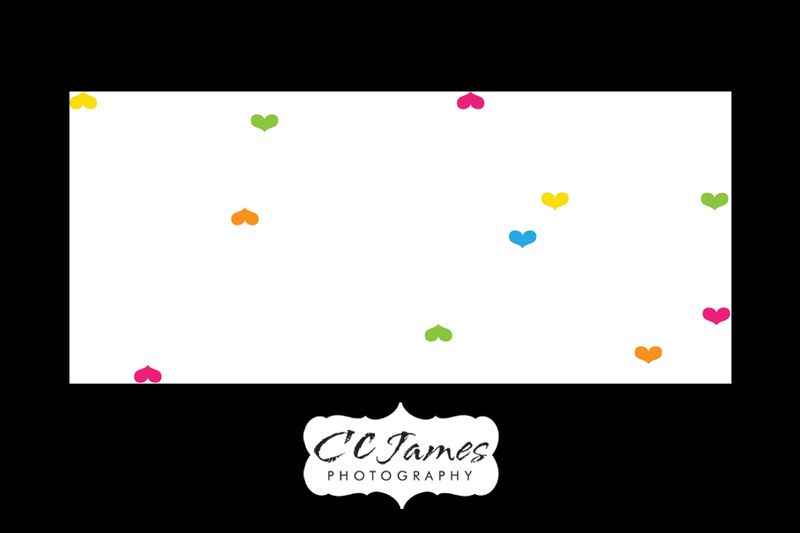 A peek: As I’ve mentioned before, there is so much going on behind the scenes at CCJames Photography right now. SO MUCH! I have to give a shout out to my amazing hubby (aka I.T. Guy for CCJP) for the many, many hours he has logged helping me change just about EVERYTHING with the business. All of this in an effort to make things even more FABULOUS for you, my awesome clients. So, another little peek into the new and improved…..